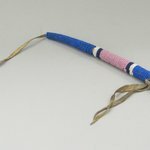 CATALOGUE DESCRIPTION Awl case wrapped with primarily blue and red beads. 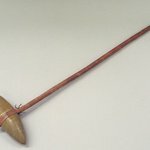 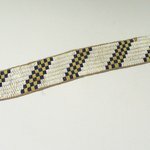 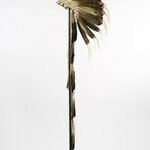 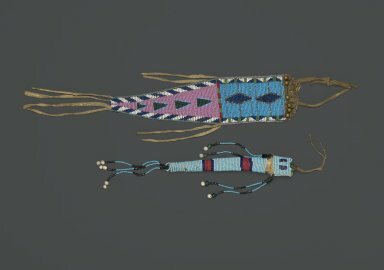 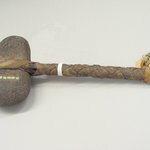 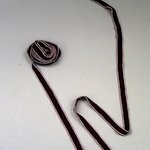 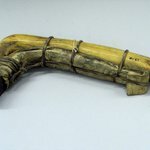 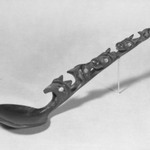 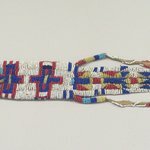 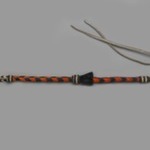 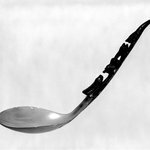 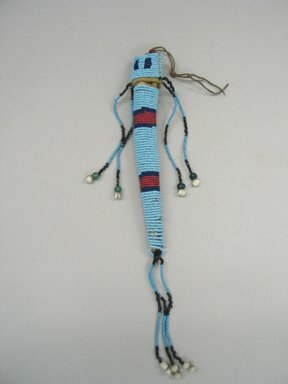 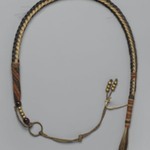 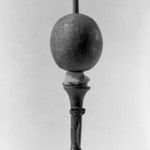 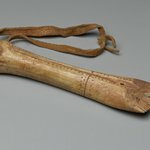 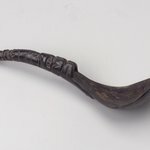 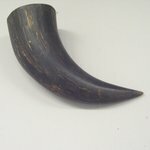 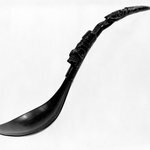 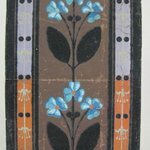 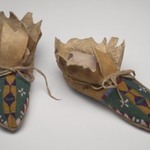 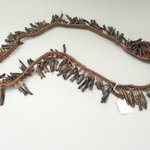 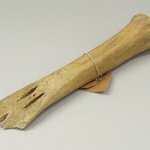 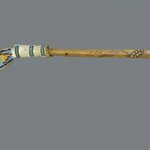 Central & Northern Plains Sioux people made awl cases by winding or wrapping beads around a tubular shaft, made originally of rawhide and later sometimes of cardboard. 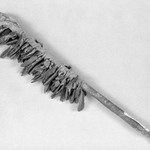 Few cases in collections have bone or steel awls in them. 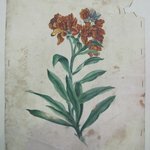 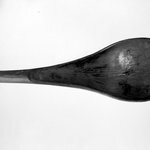 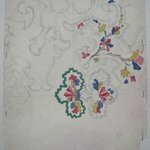 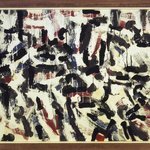 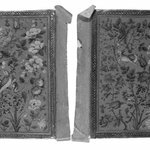 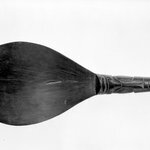 Some have pointed wooden sticks, which may have been used as hair-part painters. 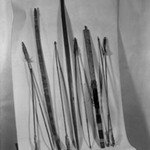 Depending on size, and evidence of paint remains, some of these may be paint stick holders. 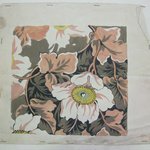 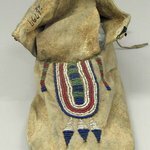 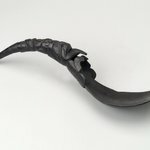 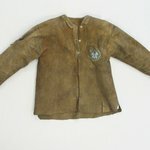 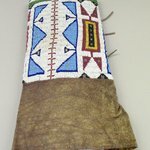 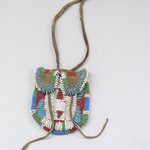 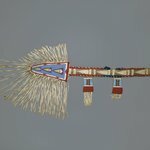 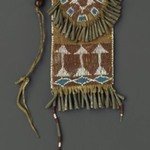 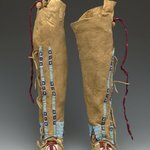 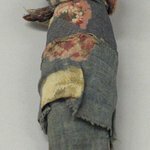 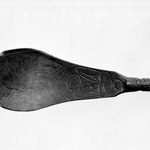 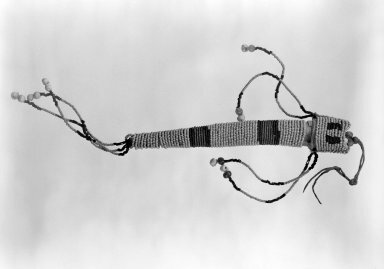 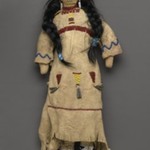 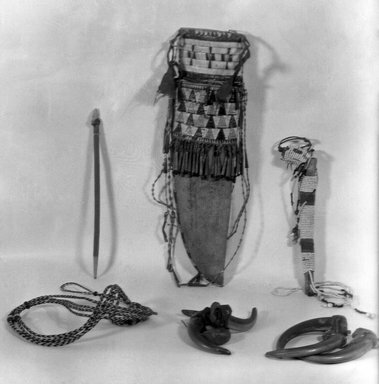 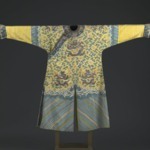 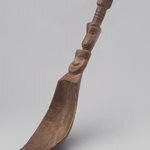 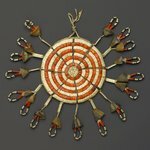 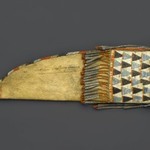 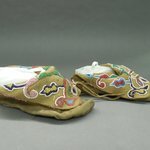 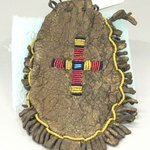 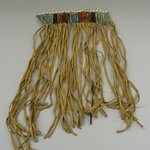 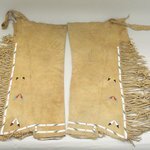 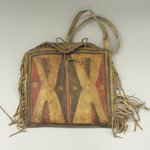 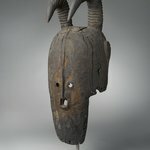 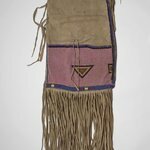 These cases were hung on women's belts long after the use of the awl had diminished a vestigial representation of women’s traditional gear and traditional role. 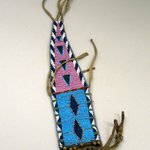 The small, faceted dark red translucent tube beads were very popular in the 1830-1870 period. 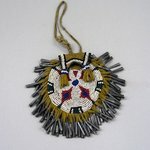 The use of the Cornaline d’Aleppo beads, red with a yellow interior, makes this piece especially fine. 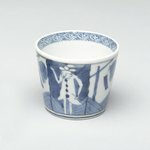 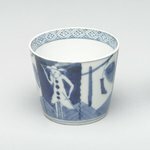 Great as household object. 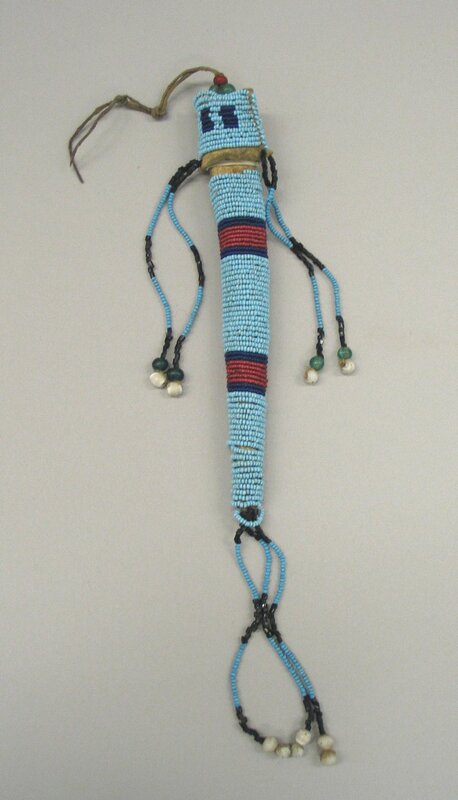 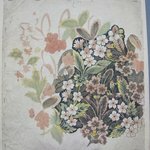 The white beads are unusual.